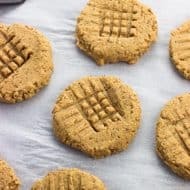 Flavored peanut butter is simple to make at home! 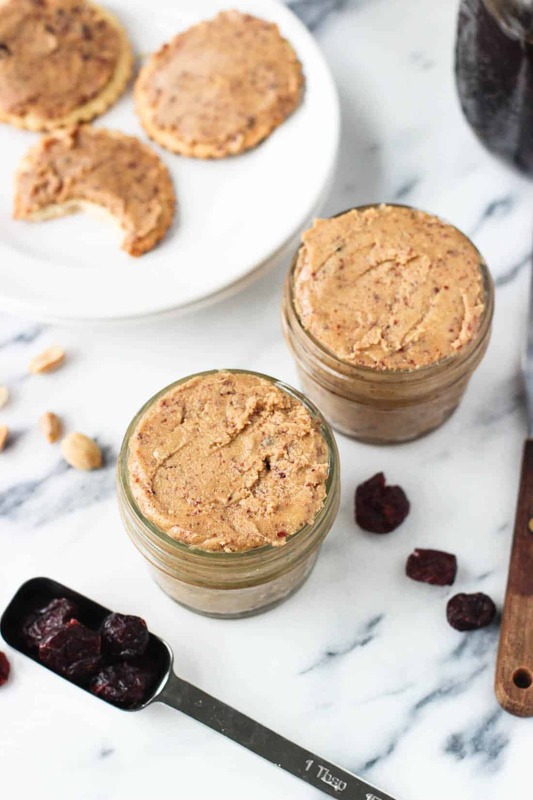 This four-ingredient cranberry vanilla peanut butter uses roasted peanuts, dried cranberries, and vanilla extract for a delicious spread fancied up for fall. 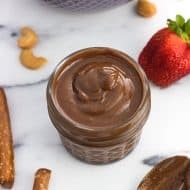 Homemade nut butters are easy. Easy, easy, easy. A few ingredients + a food processor + a few minutes and you’re there. In fact, I consider the hardest part of making homemade nut butter cleaning the food processor afterwards. One of my least favorite kitchen jobs ever! 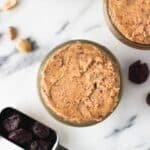 Here roasted peanuts are mixed with dried cranberries, vanilla extract and a bit of sea salt for an easily spreadable homemade peanut butter that’s flecked with flavor and perfect for fall. Optional in this whole cranberry vanilla peanut butter equation is having a dog (with a strong love for peanut butter) sitting at your feet because the bag of dried cranberries resembles the size and shape of his beloved bag of treats. A double whammy. 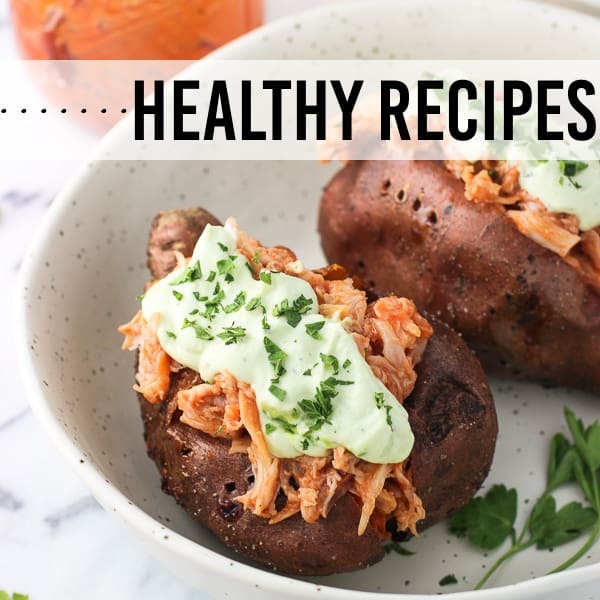 Needless to say this recipe is probably Tug’s favorite due to him finding half of a peanut on the floor as I was cleaning up after taking these pictures. 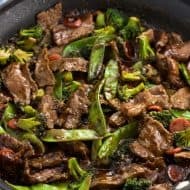 On the subject of Tug, October is Adopt a Shelter Dog Month and what better timing than to sneak this recipe on the blog on the last day of October. I’ve become a crazy dog mama through and through over the past year and I wouldn’t have it any other way. We’re blessed to have a dog who’s typically apathetic toward people food. He doesn’t run after any food we drop (except that peanut) and I can confidently leave him alone in a room next to plates of food I’m taking pictures of without him even batting an eye. He has his special food and treats and is eternally a happy dog. Poor Mr. Tug developed seasonal allergies this fall, which meant for a bit of time we were giving him Benadryl. Even though we were following the vet’s instruction, I’m pretty sure I spent hours googling any possible interaction or side effect our furry little man could encounter. Turns out Benadryl just made him a little more sleepy than usual. DUHHH! (Can I get those hours spent googling/heightening my anxiety back please?). In the morning and at night we hid those little pink Benadryl pills in small lumps of peanut butter, which he gladly ate right off of our fingers. So for a while we had a more sleepy but significantly less itchy Tug on our hands. We also had a peanut butter stash that was dwindling more quickly than normal, which meant that I had available shelf space to fill up with homemade peanut butter goodness. 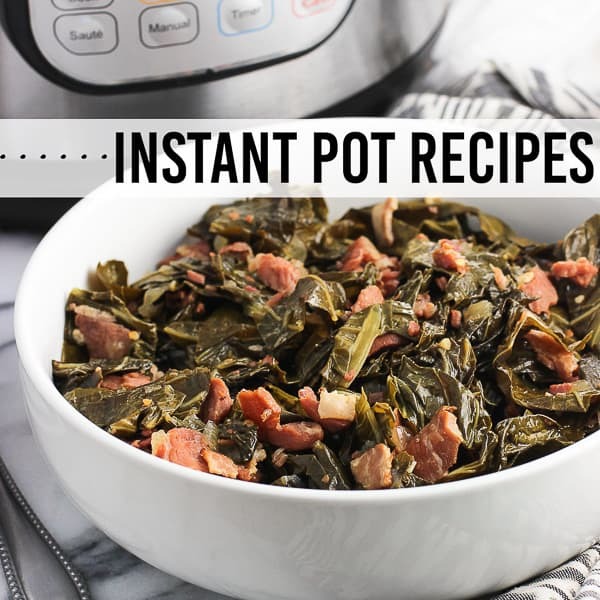 A few notes on the recipe below. I used unsalted roasted peanuts here so I added a bit of sea salt because I’m partial to a salted flavor. 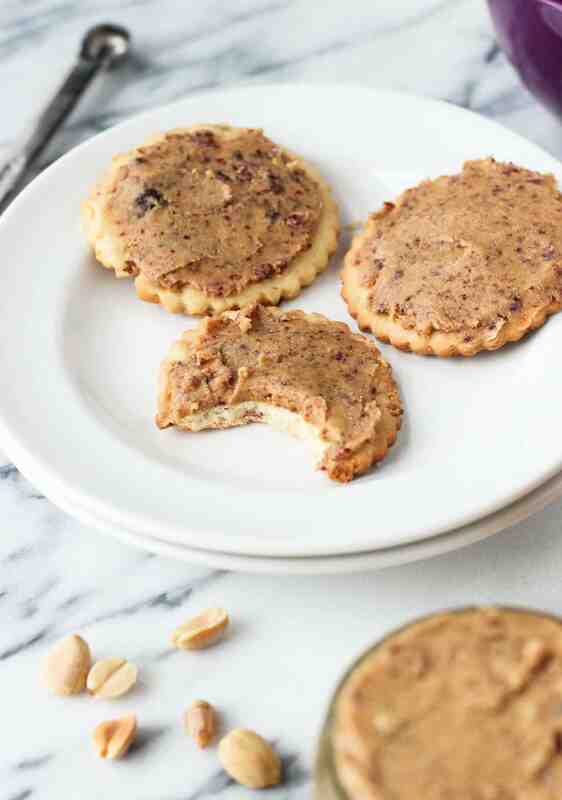 Using salted roasted peanuts would totally work (with no need to add the sea salt! ), or any type of peanuts you prefer. 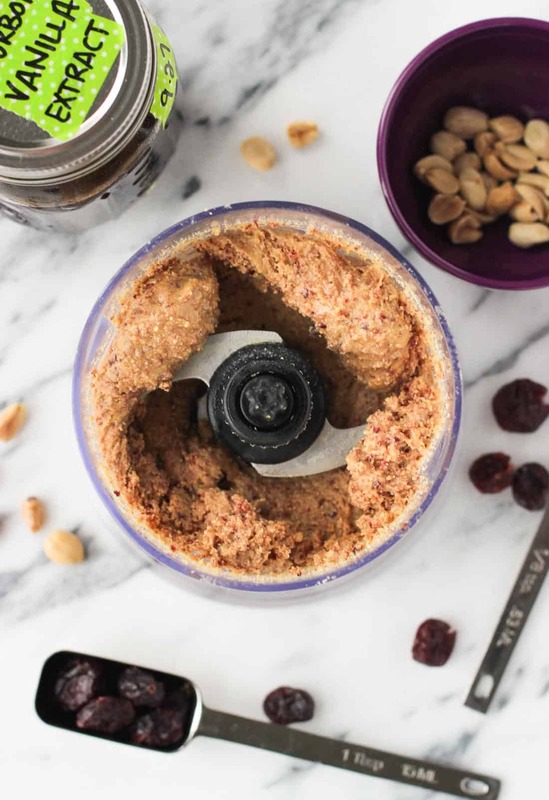 I added the dried cranberries and vanilla extract after the peanuts are well-blended in the food processor to allow the peanut butter to develop and become creamy, and to ensure there were slightly larger cranberry pieces left in the final product. 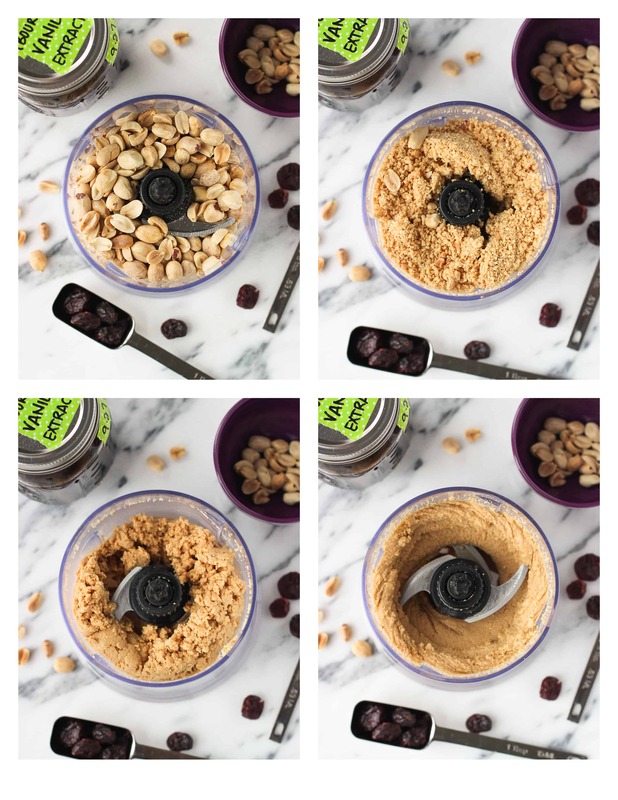 Adding solid ingredients to peanut butter like dried cranberries (or chocolate chips) tend to thicken it up, so you want to be careful not to add too much or else your peanut butter will be thicker and harder to spread. Still delicious, though. 😉 I’d say start with adding 3 tablespoons of dried cranberries and see if you’re happy with the texture/flavor. For this batch I added 1/4 cup (4 tablespoons) of dried cranberries which worked for me, but just know it won’t be super ultra creamy or very runny. Because of the addition of dried cranberries I suggest keeping this peanut butter at room temperature to ensure it remains spreadable. I put a small bit of the batch in the refrigerator just to see and it hardened up considerably. The last thing anyone wants in the morning is to be on the move before work and be left hanging with not-easily-spreadable PB for your toast! P.S. I keep things honest here – I totally didn’t have bread OR crackers in the house when I went to photograph this recipe. I did have a few healthier almond sugar cookies however, and that’s what you see in the pictures above. Crisp little cookies chock full of delicious almond flavor. They totally worked! Add peanuts and sea salt to the bowl of a food processor. Process until mixture is relatively smooth and creamy. It'll first resemble a sandy mixture, and then it will clump up. Keep processing, and it will become smooth and creamy. Add dried cranberries and vanilla extract and pulse to break up the cranberries. Store at room temperature. You may use any type of peanuts you like. If using salted peanuts, omit the added sea salt. 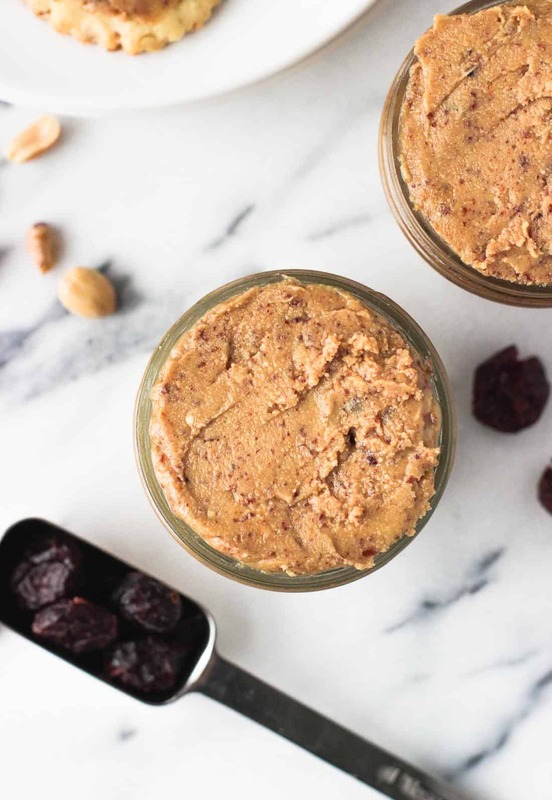 This peanut butter may harden more than you'd like if you refrigerate it due to the dried cranberry content. I suggest storing this peanut butter in an air-tight container at room temperature. Stir before using to incorporate any oil that may form at the top. 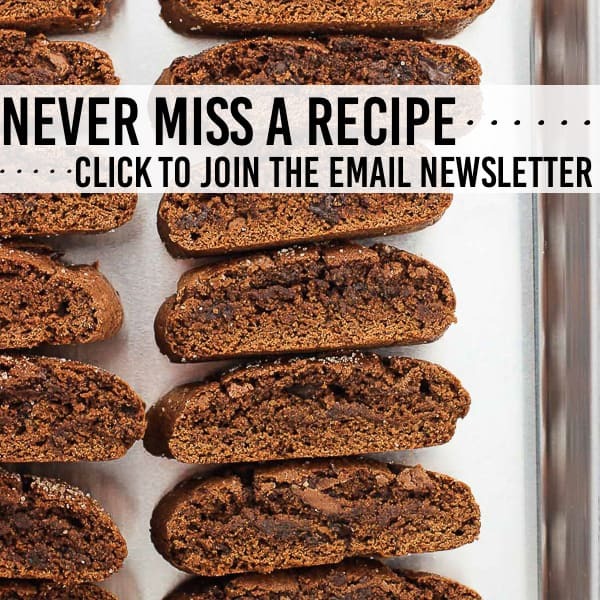 This recipe yields approximately 10 oz of peanut butter. Poor Tug! I’m sure he loved the PB though!! I love making my own, so fun to mix up the flavors. This one sounds great! So perfect for the season! 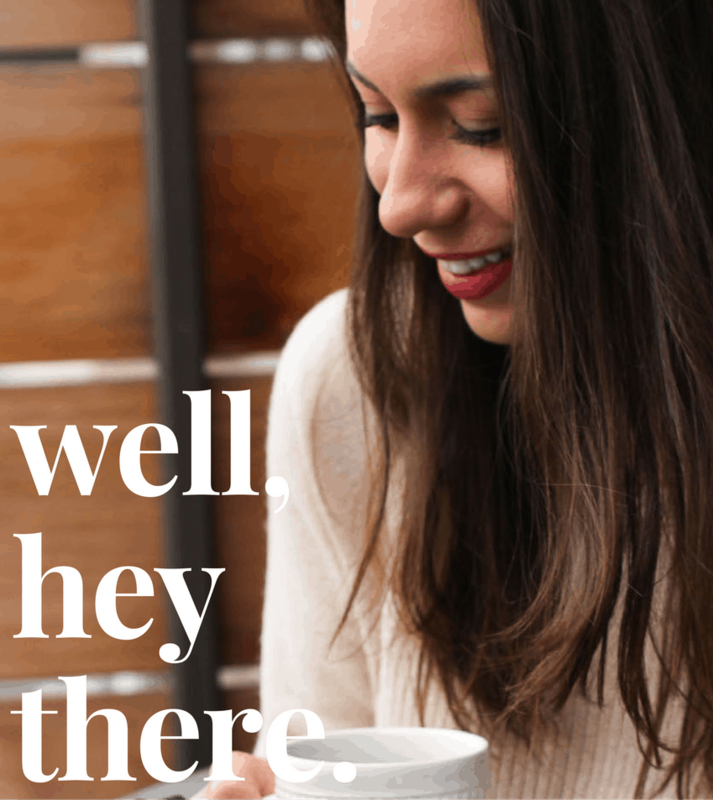 What a fun holiday spin on homemade nut butter! I loveeee homemade nut butters! I’m totally a crazy dog mama – poor Tug and his allergies!! I’m obsessed with this! 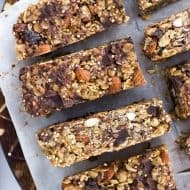 I love making my own nut butters and the added cranberries is GENIUS! 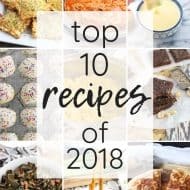 I love these gourmet nut butters you create! 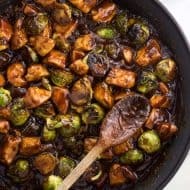 This looks so delicious with the cranberries and vanilla, and I would love just eating it with a spoon! Oooh I’ve never heard of the Wild Friends brand but just looked them up. I’ll take them all, please! So funny they have a cranberry flavor!